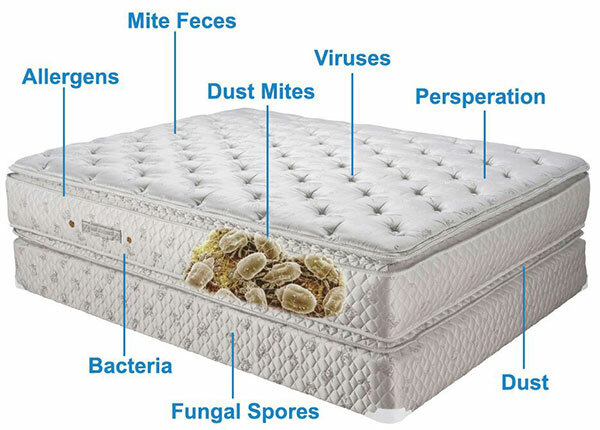 Your mattress is without a doubt, one of the dirtiest objects you will have close contact with during your entire life! Unsanitary conditions that you sleep on each night can trigger allergic reactions and aggravate asthma, eczema, hay fever, sinus pain and early morning fits of excessive sneezing. I honestly did not think the odour from my pets’ accidents would come out! Canadian Service Industries made my carpets fresh and stain free! Wonderful service! Came highly recommended and I will definitely call them again. Mattress cleaning and mattress stain removal is one of the most important things you should be doing at least once per year and in some cases more frequently to reduce the level of unhealthy contaminants and provide a healthy sleeping environment. For additional information and pricing, please call us today for a free mattress cleaning and sanitizing estimate.